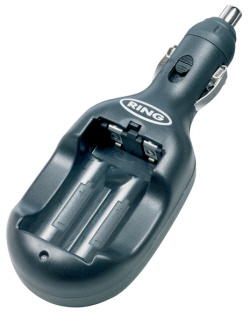 Ring In-car AA and AAA Battery Charger. Charges both double and triple A rechargable batteries whilst in your car. The LED light tells you when your batteries are fully charged by changing from red to green. Do not charge non-rechargeable batteries.